The reception area is the first thing a customer sees when they enter your business. Why not go all-in to create a big first impression? For this project, our client wanted to add a custom designed reception desk that would stand out in a large open entry space. 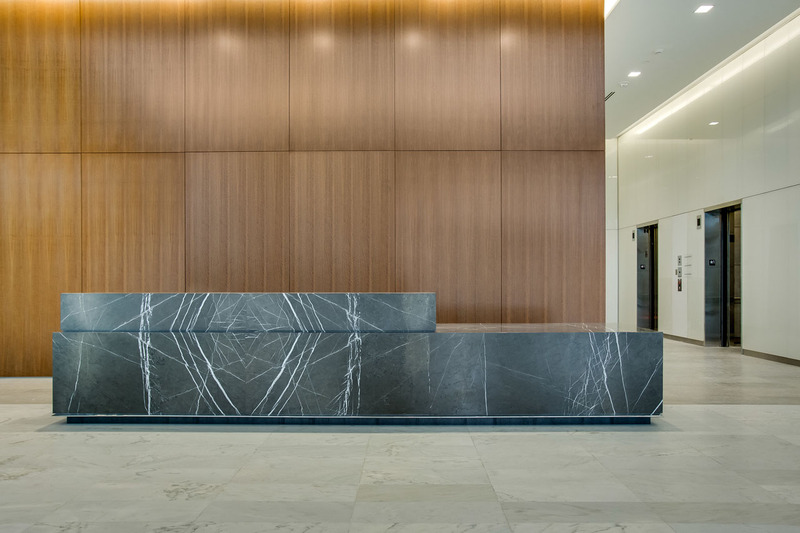 The project designer, James Krygel, chose to wrap the rectangular sections of the reception desk in Greystone Marble to create a unique design focused around the angular graining of the Marble. 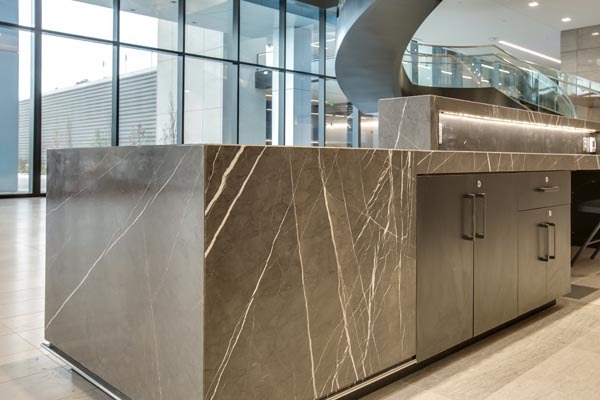 Once the Greystone Mable slab was selected, Surface One worked with the designer to visual wrap the stone around the desk using our Slabsmith virtual imaging software. 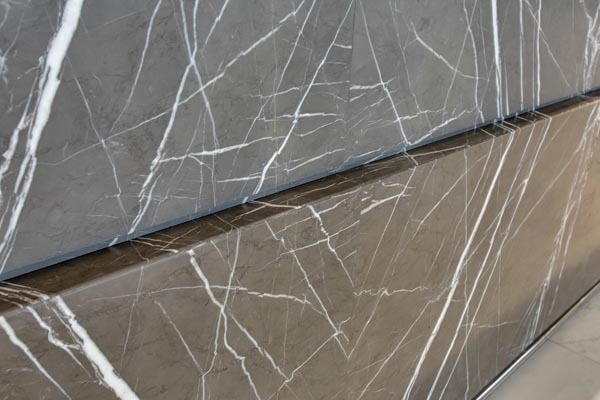 The designer on the project wanted the mirrored veining in the Marble slab to line up from the upper top all the way down the face of the reception desk to create a diamond pattern. 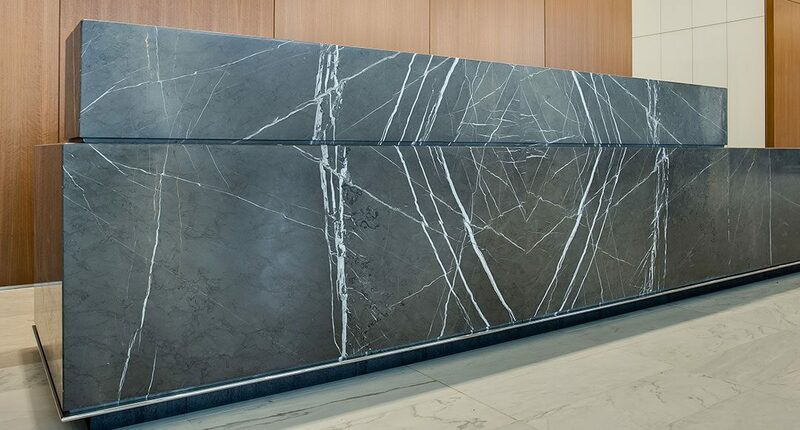 With the Slabsmith software, we were able to visually show the client and designer exactly how the Marble would look wrapped around the desk. Our software shows all the cuts, seams and edges so you can see the final product before we make the first cut.